This Seaway sized traditional style bulk carrier was built in 1961 by Canadian Vickers Ltd., Montreal, PQ and launched as the J.N.McWatters(2) for Misener Shipping Ltd., St. Catherines, ON. She, like her close sisters Algoriver, Algosound, Montrealais, and Quebecois, is powered by a 9000 horsepower steam turbine engine and is equipped with a bow thruster. This straight decker has 22 hatches feeding into 6 holds where she can carry 25400 tons at maximum Seaway draft of 26 feet and is capable of carrying 26950 tons at her maximum mid-summer draft of 27 feet 5 inches. As part of the Misener fleet, grain was J.N.McWatters' main cargo with return trips carrying iron ore. Petroleum coke was also carried between Chicago, IL and Port Alfred, PQ. With the scrapping of the Scott Misener(3) in 1990, the J.N.McWatters was renamed Scott Misener(4) in 1991. 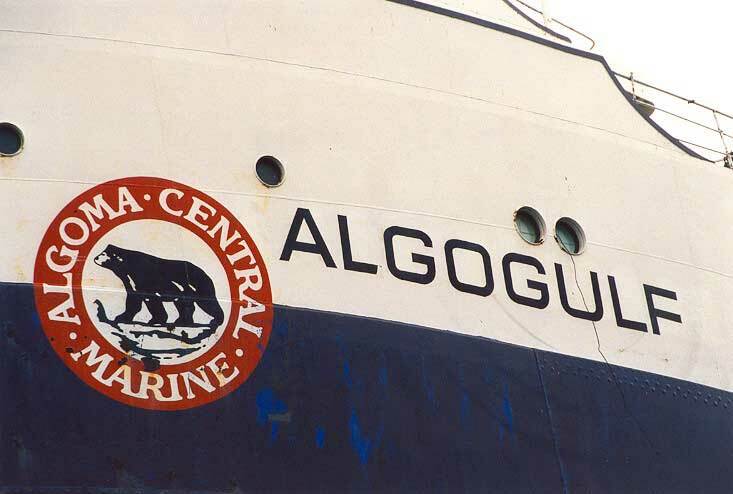 Algoma Central Corp., Sault Ste. Marie, ON acquired this vessel in 1995 renaming her Algogulf(2). The Algogulf currently sails under the management of Seaway Bulk Carriers (partnership of Algoma Central and Upper Lakes Group). Her cargoes remain in the grain/iron ore trades. As such, her sailings are dependent on the fluctuations of the grain industry resulting in some late fit-outs and fall sailings. Many other straight deckers sail earlier in the season due in part to the Algogulf's less efficient power plant. 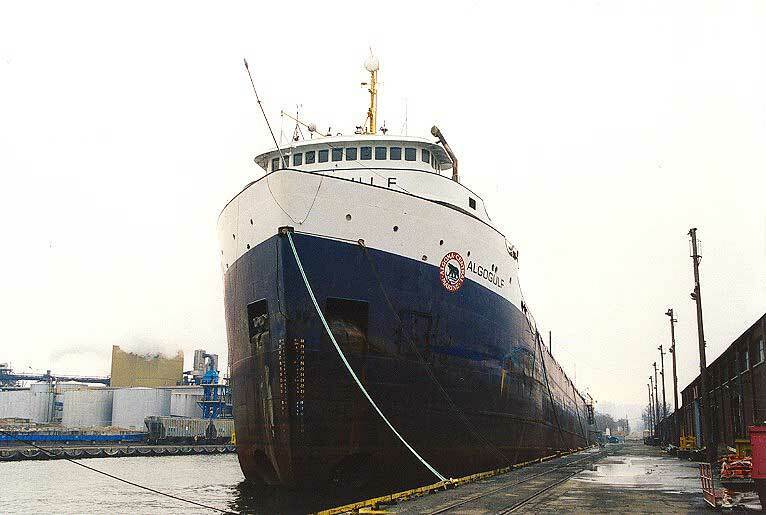 The Algogulf entered lay-up in December, 1999 at Hamilton, Ont. Through out the following years equipment was removed from the vessel leading many to believe that she would soon be scrapped. 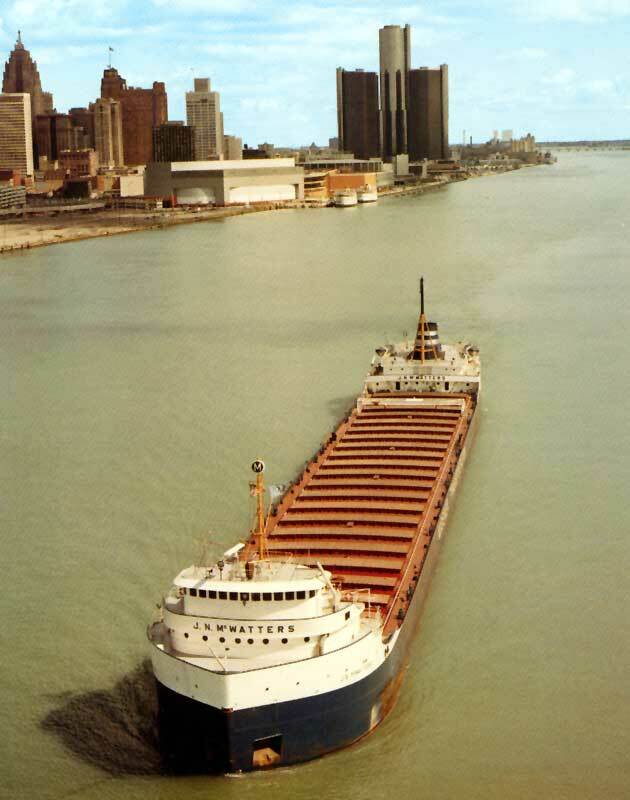 The rumors of scrapping were confirmed in early 2002 and the Algogulf was be towed by the McKeil Marine tug Progress from Hamilton to Port Colborne for her date with the scrappers. As sad end to a classic straight decker, but one that is expected to repeated in the coming years. Many vessel built in the era of the Algogulf were built with a limited life span and have now exceeded those years of service. St. Clair River, Sept. 28, 1991. Click here for pictures from the scrap tow and scrap yard.